The Wirral Ways to Work Programme supports eligible workless young people and adults to move into education, employment and training. 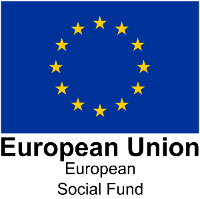 It is funded by the European Social Fund (ESF) and Youth Employment Initiative (YEI) and is part of the Liverpool City Region Combined Authority Ways to Work Programme. Wirral Ways to Work offers four different services aimed at different groups of people. This service is aimed at adults aged 30-years-plus. It provides specialist job coaches who will support you into sustainable employment, including self-employment, on a one-to-one basis. Involve Northwest delivers the service with more than 20 weekly work clubs in community venues throughout Wirral. This service is for young adults aged 16-29. It provides specialist job coaches who will support you into sustainable employment, including self-employment, on a one-to-one basis. The service is delivered by PeoplePlus. This service is for eligible young people not in employment, education or training. It aims to raise the aspirations of young people and support you into employment or learning. Career Connect delivers the service, providing face to face guidance as well as telephone support and online access to services. This programme offers employment grants to businesses who can demonstrate business growth to support the recruitment and employment of young people not currently in employment, education or training. Employment opportunities will be for a minimum of 7 months. Eligibility criteria apply. This service is delivered by Wirral Council's 14 to 19 team. Interested businesses and young people can find out more by calling 0151 666 5238. There are five Jobcentre Plus offices in Wirral. Find your nearest Jobcentre Plus office and contact details. Visit Teenwirral for careers advice for young people aged 14 – 19 (up to 25 for people with special educational needs). The National Careers Service provides information, advice and guidance to help make decisions on learning, training and work opportunities. This service is available for people aged 19 or over (18 or over if you're a Jobcentre Plus customer).